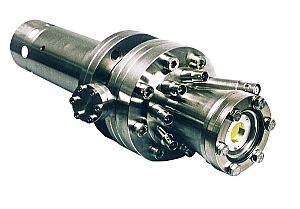 This ultra-compact PEEM combines high performance with ease-of-use and adaptability to most pre-existing vacuum chambers equipped with a 4 ½” flange. The field of view can be changed from 5 µm to 500 µm by turning of a single knob. No alignment of the instrument is necessary. Although it is less than 23 cm long and with a radius of less than 7 cm, this instrument guarantees a lateral resolution better than 30 nm! The necessary electronic components fit in any 19” rack using only 6 rack units. 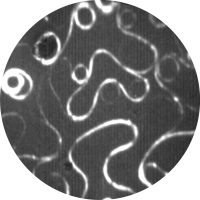 UV-PEEM of Cu on W(110), FoV 10 µm.